So, where are you trying to make the time pass? Best mmorpg i played in early times? Ragnarok Online, ok is another farm farm, but able to capture for the graphic and city design, also one of the earliest mmorpg coming from korea. I think it is online still today, thanks the free servers. The only one mmorpg p2p I played is AoC, have been too excited about it and, to be honest, that was great till end game, considering i hate WoW type mmorpg, that is the only exception. But only, as I said, till end game, then boredom comes strike again. Nowadays i just play some old games, mostly rts, space games, and some role playing. I'm playing Vindictus on and off. There's no other game that can keep my interest at this point. I seriously can't wait for the European release. Maplestory was my first MMORPG, lulz. After that I moved to Rumble Fighter. Wich I still play occasionally. Though when Vindictus releases, no other game will get my interest. Playing conquer online private servers. Lol. Once you played Vindictus, you cannot find other mmos funny, and no one can complain this! I don't think Vindictus is the game you can sit and play too much 'cus it'd end up boring. True that. It'll get repetitve very fast. well the dungeons change every time you do them just the boss part is the same so I guess you can grind it a little. Yes but grinding mindlessly is not good, as far as I know, entering an instance costs tokens, which every 8 hours are given again. You can wait that time strolling around for other things or pay for golden and platinum tokens (the latter gives you also a nice exp boost). 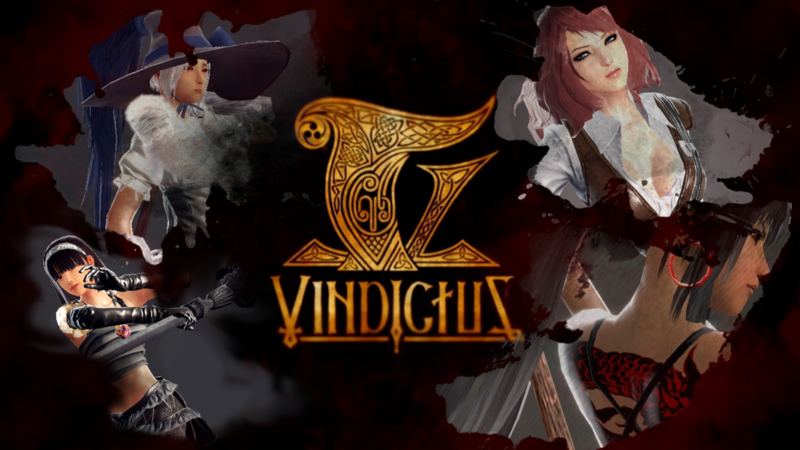 Vindictus, as for now, is not like the other mmorpgs, first it is only a mmo game, this could be a good thing but also not so good, depending on personal tastes. I'm not expecting a wow killer in terms of popularity. The farmer type of player will have bad time here. Just because this is a mmo doesn't mean that is less overall fun or lack of content, but will require time in which will be added zones, pvp, crafting, events, new classes etc. you mean new dungeons and there are only gonna be 5 classes total. And I think the token system can be a bit annoying sometimes. I think it'll be fun though. Making friends, kill the Polar Bear with some guildies. Fish together to socialize and relax a bit. Maybe host some small player made events. It'll be alright. New dg, new cities for social, i guess new skills..pvp also confirmed. Then, there is this Mabinogi Extreme..
And there is not actually any forum rule that forbids us from going really damn off topic. Anyway, I'm looking forward to some of the life skills. Cooking, Blacksmithing etc. Will take a good while though. I was playing maplestory, flyff, grand fantasia and wonderking filipines. Grand Fantasia was kl, and ownderking was pretty fun except the fact that no one was ever really online. Everyone's played maplestory atleast once, i started playing in year 6 and i got a level 120, 6 lvl 50's an aran lvl 70 and a dual blader. Personally i find that game so boring now, i've done so much on it. The thing about maple is how it seems to be a complete game, in all the games' systems. Everything is just right! @RyuTube I think you have to make all the armor and weapons you use in Vind. And no there is no such rule as "Keep on Topic"
@Imageflow Isn't Maple more of a chat game now days? -Shakes and Fidget a fun game online its like a App game. Off-Topic to answer Some above questions. 50 Silver tokens on Monday, Thursday, Saturday. And i think NA only has Crimson Tokens there like 5 cent cheaper then Platinum, but offer no Stats Bonus But can be Sold on Market Place. OB = Swag Owner Title from a Event Quest i hope EU gets for a Gnoll Spirit Hood. Anyone played any of the games from the Fable series on xbox? Just Fable I but on Pc, never finished it though. I read the others two were too much easier and short. Actually Fable 2 better than the 3. Lol, i aint played Fable 2 or 3 i really wanna try them though!